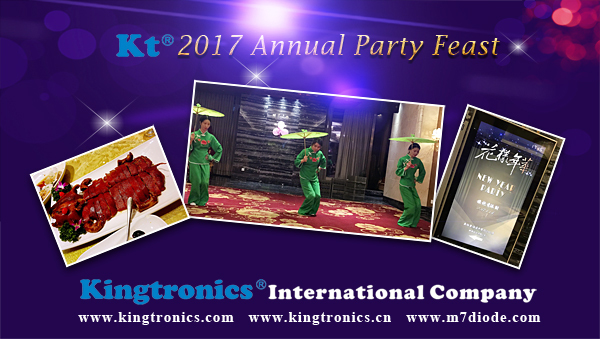 On January 14, 2017, Kingtronics held the 2017 annual party feast. All the department cover gathered together to enjoy the day. At the party, our Kingtronics girls provieded a large-scale song and dance performances. We also shared employee Lottery & employee awards ceremony, as well as activities such as speaking & Summary from the leadership. At this important moment, we wish all of our customers, new atmosphere of the new year, all of our colleagues, Healthy and happy, 2017 Hundred foot pole further.